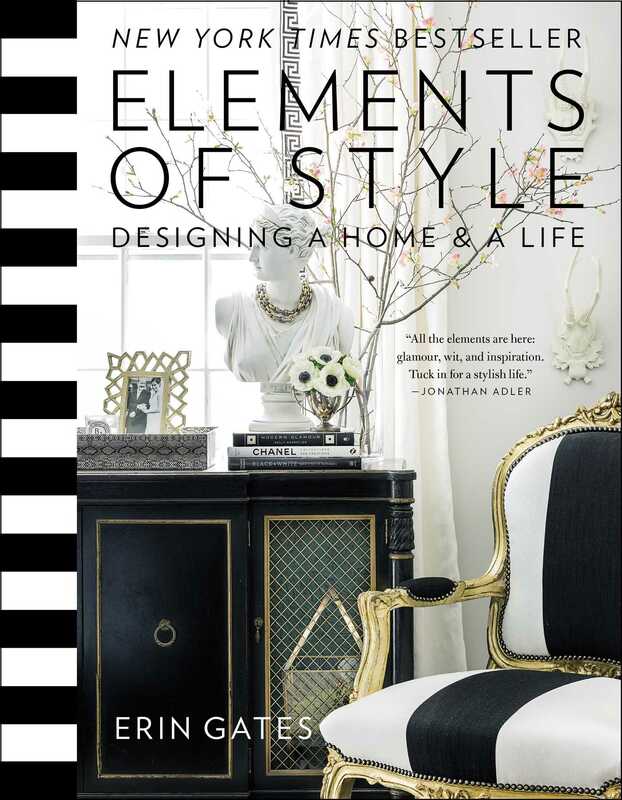 From the rising-star designer and author of the hit blog, Elements of Style, a full-color, fully illustrated book packed with honest advice, inspiration, ideas, and lessons learned about designing a home that reflects your personality and style. Elements of Style is a uniquely personal and practical decorating guide that shows how designing a home can be an outlet of personal expression and an exercise in self-discovery. Drawing on her ten years of experience in the interior design industry, Erin combines honest design advice and gorgeous professional photographs and illustrations with personal essays about the lessons she has learned while designing her own home and her own life—the first being: none of our homes or lives is perfect. Like a funny best friend, she reveals the disasters she confronted in her own kitchen renovation, her struggles with anorexia, her epic fight with her husband over a Lucite table, and her secrets for starting a successful blog. Organized by rooms in the house, Elements of Style invites readers into Erin’s own home as well as homes she has designed for clients. Fresh, modern, and colorful, it is brimming glamour and style as well as advice on practical matters from choosing kitchen counter materials to dressing a bed with pillows, picking a sofa, and decorating a nursery without cartoon characters. You’ll also find a charming foreword by Erin’s husband, Andrew, and an extensive Resource and Shopping Guide that provides an indispensable a roadmap for anyone embarking on their first serious home decorating adventure. With Erin’s help, you can finally make your house your home. "All the elements are here: glamour, wit, and inspiration. Tuck in for a stylish life." "Erin Gates's incredible eye for beauty is matched only by her funny, raw, and honest voice. I am such a fan of this gifted woman and this gorgeous book." "Erin's book is a breath of fresh air, just like her witty, engaging, and informative blog. And unlike most decorating books, I actually read this one!" "The thing I've always loved about Erin's blog is how well she balances the personal and professional while making it fun and informational. She has translated that seamlessly into this book, where you get a sense of not only who she is but also expert design advice. And her cheetah print stairs had me at hello... followed by a quick "damn gurl!" "Filled with her trademark no-holds-barred prose, charming anecdotes, and practical advice." "Style is subjective, but the elements of style are pretty universal. Few people know this better than blogger-turned-interior designer and author Erin Gates. She wrote the book on it--literally." "[Gates] has a knack for combining practical advice [...] with humorous reflection on mistakes and lessons learned over the course of her 10-year career as an interior designer." "Her advice is glamorous yet practical and often served up with humor." "Its pages are full of gorgeous photographs and funny personal essays about renovation disasters and marital spats over what table to choose. Warning: You may be roped into rearranging the furniture." "Jam-packed with loads of fab photos as well as practical advice, lessons learned, and insight from Gates's own home renovation, as well as her work with her other design clients. "Flip through the pages of interior designer Erin Gates's fun and informative new book..., and you'll feel like you're stepping into her new house."